– Diaphragm rhythm and breathing techniques. – Playing with the whole body. – The different bodily ‘stations’ and how they affect the sound. – Multiple layering of the sound. – Toots and trumpet tones. – Diaphragm and mouth strengthening exercises. – Compositional approaches to the Didjeridu. – Advanced harmonic techniques/Focusing on overtones. 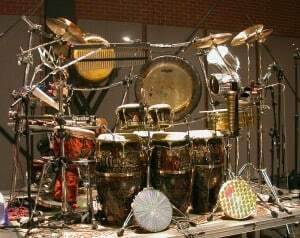 – Polyrhythmic playing and complex rhythm cycles. 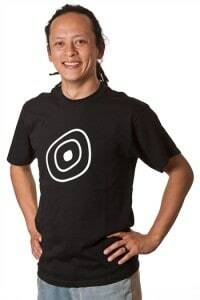 Born in England he was raised in East Africa and in a career spanning well over 2 decades, based at various times in Australia, Spain, the UK and now the San Francisco Bay Area, he has pioneered the modern day use of the ancient Australian Aboriginal instrument from his position in 1981 as MD of Australia’s Circus Oz, award winning composer for Barcelona dance companies, 7 years touring the world in New Circus groups such as Ra Ra Zoo, to a catalog of over 20 CD releases, including 6 solo works, and multiple collaborations with group projects Trance Mission, Lights in a Fat City and, most recently, Australian Bebop Ragas, Baraka Moon & The Del Sol String Quartet. Collaboration across cultural boundaries is at the root of his interest and he has worked with extraordinary musicians around the planet including Airto Moreira (Brazil), Zakir Hussain (India), Habib Koite (Mali), Rahim Al Haj (Iraq), Zap Mama (Belgium,Congo), Chirgilchin (Tuva), Samulnori (Korea), Leonard Eto (Japan), Omar Sosa (Cuba), Paul Horn, Glen Velez, (USA), among countless others. He continues to perform all over the world. Stephen also works with radio and has hosted a weekly “Music of the World” show on Pacifica Radio’s KPFA.org for the past 20 years. G’day & Good Vibes to the worldwide didge tribe! Have you ever had the urge to design something that will be worn by thousands of shoeless drone fans? Have you ever lost track of time in a sketchpad while your partner pours deep vibrations into the floorboards? Have you ever considered that didge players just need a fresh look in this big ol’ world? Well now is your chance to make a difference, because Didgeridoo Breath is holding a DESIGN-A-TSHIRT-COMPETITION and you are invited!! We will be awarding winning prizes to the designs that resonate the best, and there may even be a few winners. We would really like a few single-colour designs in the mix too! 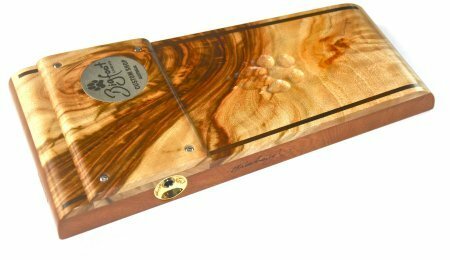 Didgeridoo Breath – XMAS SHIPPING CUT OFF TIMES!! G’day to the Worldwide Didge Tribe!! This is a quick hello to fill you all in on the cut off dates on various shipping methods if you are wanting your order to arrive to you before Christmas time. On behalf of the Didgeridoo Breath Mob we wish you all a happy festive season and hope that you continue to have a blast. Warm Vibrations to you, and let us know if we can be of any assistance. Circular Breathing: How to & the benefits of! The task is both mental and physical, and just so long as you are able to breathe in through your nose (even one nostril will do) you have total potential to accomplish this feat! Explaining the technique here in store everyday is one thing, but today I feel like laying it all down for those players out there who are curious or struggling along the path in their own private practice. Lets talk about the art of circular breathing. So, as I have noted already – the task is just as much a mental challenge as it is a psychical one. The first hurdle to jump mentally is the one that says “I CAN’T DO THAT”. This may be true, but you have forgotten to add one word there…. YET. Maybe you cannot do it just yet, but if you give up before you start then what is the point to anything! Being a practice that can be started by yourself, at any time or place, with no equipment, whilst already doing other things , AND for free should make it as accessible as air itself. Why not dedicate 5 minutes each day to such a beneficial practice and kick some serious goals? The second hurdle to jump mentally is to look at breath in a fresh and open way again. You will need to get your head around the fact that you will be multitasking here. While you breathe in through your nose (easy!) you will be learning how to squeeze air out of your mouth using your cheeks. Your brain may feel a pinch here at this point, much like it does when someone asks if you can pat your head & rub your tummy at the same time. Muscle memory is the key to not overthinking this move – by which I mean, just slowly & steadily repeating the action over and over will allow your body to make sense of it and give your brain a rest. I will explain in more detail about this technique soon. : develop new muscle memory, and ‘get your head around’ the action of it. Puff up your mouth full of air (or water if you prefer). *note, you do not need any air in your lungs for this action. 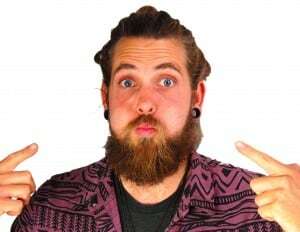 In fact, why not test it and show yourself how easy it is to simply hold air in your mouth separately from the lungs. Just puff them up and hold them there nice & tight. Good! Whilst still holding your mouthful of air, try breathing normally via your nose without changing your cheeks at this stage. You will notice & feel that there are already two separate actions going on. Your lungs are breathing as normal, and your mouth has become a separate isolated area. Please note that for this to work the soft muscles at back of your mouth/tongue have closed off the space within your mouth to create the seal. Your body should do this automatically anyway every time you breathe in with only your nose. When you are starting out it is helpful to feel this engagement of ‘two separate areas’ for a few breaths, as it makes you more aware of the spaces you are going to develop. So feel this for a bit and then relax again for step 3. Good work so far. Not too hard eh? Now you are going to feel what it is like to make a vibration with your lips, but without using your lungs! Ever spat out a watermelon seed or made a little fart noise with your lips/tongue? Hard to describe in writing here, but if you can make a little squeak sound with your lips that sounds like someone sliding a wet finger across a balloon, or squeaky rubber then you’ve probably got it. It is a short wet sound and it comes from your muscles without the need to blow air. 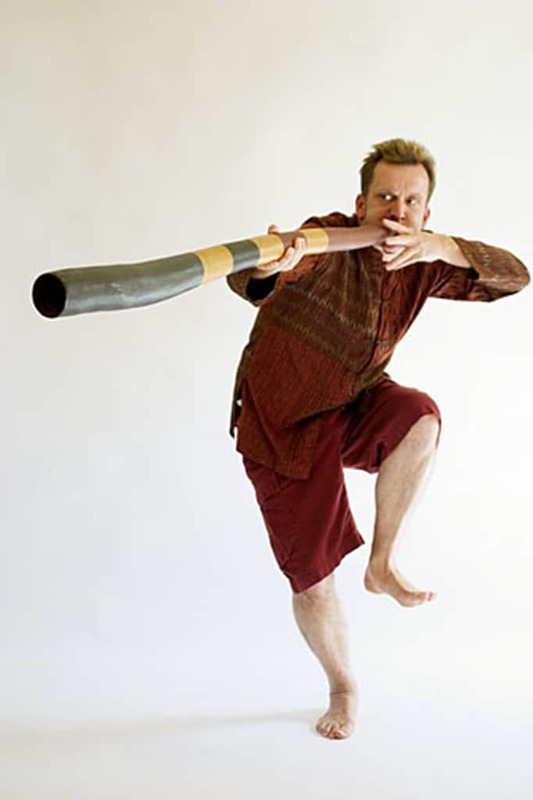 This is a nice and important point to make, because for a didgeridoo player the art of circular breathing is the art of keeping your lips vibrating at all times – including while breathing. To achieve this we must at some point keep our lips moving without any influence from the lungs. So test yourself now in this step – can you make a little buzz sound with your lips WITHOUT using your lungs? Good! Let’s extend it then. Can you extend it more? Keep trying! Now, lets go for a squeeze that is as long and hard as you can possibly manage. Fill those cheeks back up to the brim again like you did in step 1 and see if you can squeeze out for 5 HARD SECONDS. Give it all you’ve got – and this exercise will become your muscle workout for your cheeks. Got your squeeze down? Feel like you have been laughing all day and now have sore cheeks? Good! Feel proud ☺ Almost there. The last part of this technique is to add a breath during the squeeze. If your squeeze is lasting for 5 seconds, the ideal time to take that breath is during second #3. Yes, just a quick little sniff in through the nose – aimed down at your navel. If you can use your diaphragm to take that sniff you will be engaging your core and taking good fresh air down deep where the body needs it. Diaphragmic breathing feels so very good! We only want to take a short breath, and the breath MUST be shorter than the squeeze to train your muscle memory correctly. If you were to breathe in for as long as your squeeze out – you will be left with plenty of air in your lungs, but nothing left in your cheeks to eventually continue the drone during didgeridoo play. Practically speaking, you are playing the drone, your air is running low, your cheeks widen and take over the lip movement and you take a quick sniff of air in this opportune moment, then what ever is left still within your cheeks is relaxed and blended into the normal drone again. We are training this muscle memory action for you now by getting the rhythm right: a short sniff in a longer squeeze. It can be challenging to work these two actions (sniffing and squeezing) out of sync initially but I’m sure you will get it. Something to help with this tricky part is to accompany yourself with your hands to help it click in your brain. How about moving one hand outwards in a steady line as you squeeze, and have the other hand move back at you for the shorter sniff. Assigning your hands to represent the two separate actions may be of help in the beginning seeing as we probably don’t have much cheek strength yet. Please note that on the didgeridoo you would not actually squeeze out for 5 seconds, it happens a lot faster when you are playing, but right now it is strengthening for you to do it longer and harder and to feel the best time for your breath to be in the middle. In real time the whole action takes place in a second or less!! If you can commit to doing this exercise every day for a week or two you will definitely gain results in cheek strength & new muscle memory. 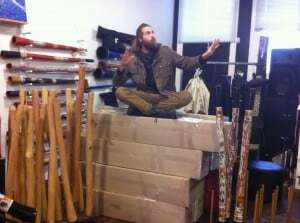 This is the time to start trying it on your didgeridoo!! See if you can drone for a while and then add your squeeze & sniff in when you are ready and relaxed. Forget how it sounds!! Your drone may sound great and your squeeze may sound horrible – BUT I guarantee that if you can keep a continual vibration going no matter what it sounds like, you are 95% there. Be patient at this point as well, and know that the best sound will come in time. Keep the vibration going mate, and breathe a relaxed breath into your diaphragm. Keep on working it and gain control over your cheeks. To make it continual there will be an overlap on each end of your squeeze. For example, you are droning away on your didge and whilst still droning your cheeks will expand ready to take over the job of vibrating your lips – GO! Now the cheeks are squeezing and you have taken your sniff of air. Now you blend what is left in your cheeks by slowly relaxing them and bringing your normal drone back at the same time. Don’t worry it if sounds a bit bumpy at first, or if a little gap comes here and there – totally normal. As your cheeks become stronger they will have the sensitivity and control to slow down your big squeeze, and more and more it will sound just like a continuation of the drone you are after, and less and less like a bad toilet joke. I know there are a LOT OF WORDS here, but this article has been written in the spirit of laying down a lot of answers to circular breathing questions we get here every day. Many little riddles are tucked away here in the paragraphs – so delve deep and I hope things will make sense to you all. Congratulations in advance my friend! Remember, you don’t need anything but time to accomplish this amazing breathing technique. Once you feel strong in the cheek department, this is the time to grab yourself a fine & beautifully handcrafted didgeridoo from us. Something with good backpressure and capable of producing the amazing sounds that will surely follow, now that you have taken a serious step along your didgeridoo path. The continual use of the didgeridoo will promote your body to remember how to breathe properly – that is, breathe into your diaphragm (like we all do when we are infants & young children). Rather than shallow, unconscious, day-to-day breaths you will find it easier and easier to breathe normally into your navel and supply yourself with good fresh air right down to the bottom of your lungs, your diaphragm moving rhythmically and massaging your organs as it does. You may even feel hyper oxygenated at first. I remember my fingertips tingling and seeing dots in front of my eyes! You will feel your core muscles opening up and your posture may also improve. Another health benefit of playing didgeridoo is that you are working all the muscles around your upper airway, gaining strength and control over them and enhancing the pathways that connect your brain with these actions. This will produce noted results for those suffering from various breathing conditions such as asthma, snoring, and obstructive sleep apnoea. What a fun way to seek health! The list does go on and on actually, but that could be a whole new blog me thinks. 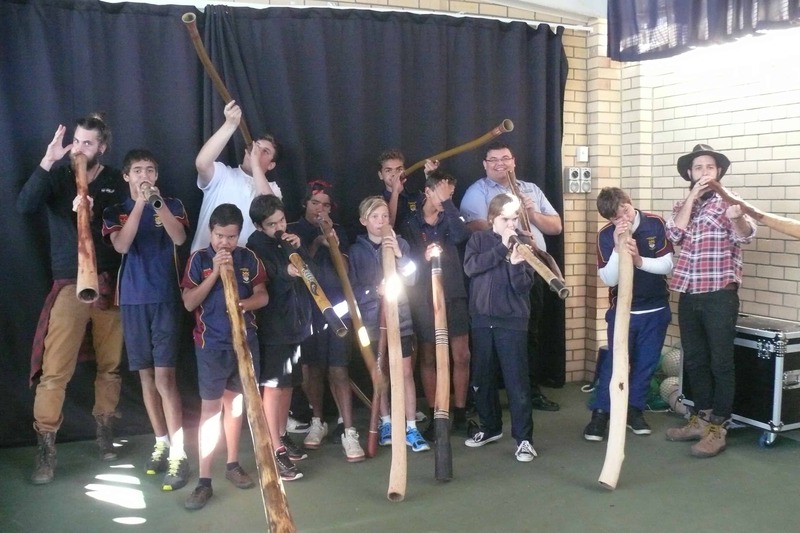 We here at Didgeridoo Breath have had countless moments where students have returned to the store with smiles or tears of joy in having battled physical or emotional hurdles with the power of a hollow tree and getting in touch with their own bodies. The didgeridoo is an absolutely incredible instrument & tool, not only for how it sounds or looks or even feels, but also because playing it is a great way to put yourself back in touch yourself in a healthy and free-form way. Anyone can do it. So have a good go, tell a friend and maybe even start up your own regular didge circle. We are always here to help with any questions you have along the way, and are just about as passionate as you can get about the world’s oldest and powerful instrument – the didgeridoo. We stock some of the best and most authentic instruments in the world right here and are always ready to sit down with you and have a good yarn & expand some technique. Locals, keep making yourselves at home here, for those abroad – we will hopefully see you all soon on your didgeridoo pilgrimage. Wintertime in Fremantle and it is time to hit that good ol’ road north to add a few degrees to the mercury. Benni & Ellswood were honoured to be invited this year to teach didgeridoo up in Yamatji country in mid-west WA as a precursor to NAIDOC Week. For those outside of Australia wishing to learn more, NAIDOC stands for National Aborigines & Islanders Day Observance Committee and the week is a celebration of First Australian history & culture across the continent and it’s surrounding islands. With the world’s oldest continuing culture being found here – there is plenty to celebrate and honour! 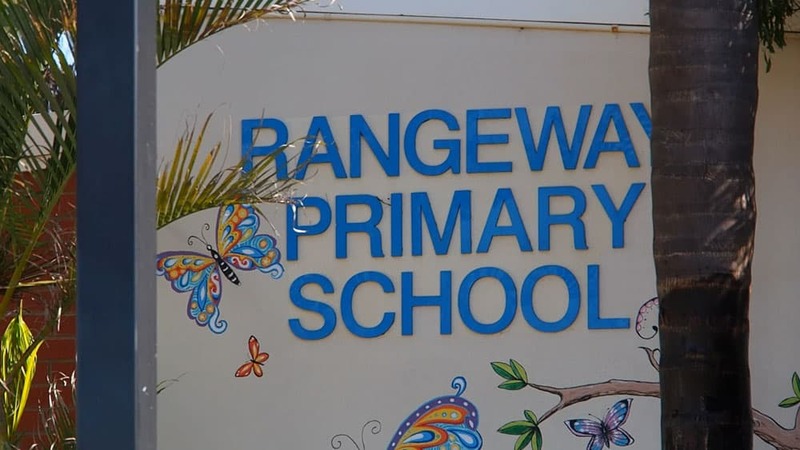 Rangeway Primary School in Geraldton boasts an Aboriginal student population of around 85% and the school’s music coordinator George Scicluna is a man of large plans and strong community development. 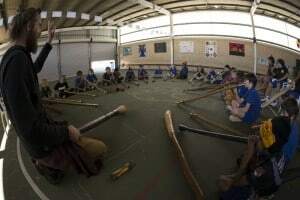 One of his current quests is to empower his students by bringing the didgeridoo into the school curriculum as part of the music program known as ‘Indidgenius’. George called upon the experience of Didgeridoo Breath’s teachers to add a new level of involvement to the schools already exciting music department. With the support of the Bundiyarra Aborginal Corporation & sponsorship from Rio Tinto and Ian Blayney (Lib. Member for Gerladton) we were also able to provide several beautifully natural didgeridoos to the school that will hopefully bring joy to generations of upcoming students. 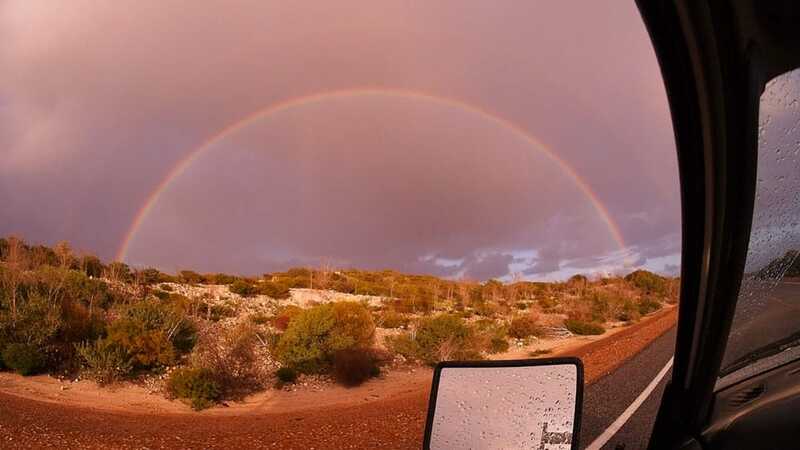 As fun as it to work here at Didgeridoo Breath central, Benni & Elz were pumped about a journey, and the ute was packed superfast with around 40 different didgeridoos in anticipation of the circles to be held. 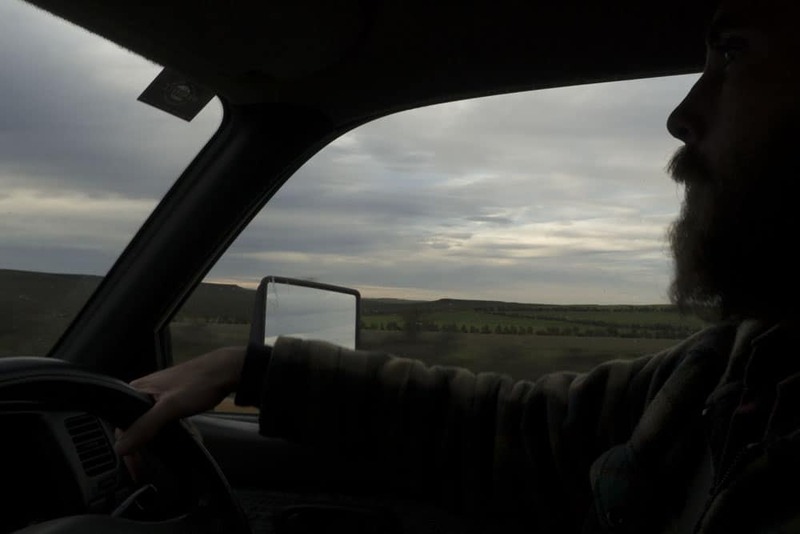 Also needed were a few sets of clapsticks, some termite tunnel grit, and some sweet droning road music (and thankfully a spare tire – as we accidentally ran over an echidna on the drive back home and got some karmically spiked). George was incredibly hospitable, putting us up at his own home (which was decked out and stood overlooking Gerladton’s mighty sand dunes!) which was fantastic because we had plenty of teaching to do. 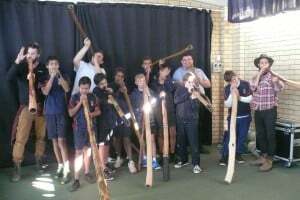 Every male (respecting local Aboriginal law) student from year 4 upwards was invited, in back to back groups to become familiar with the didgeridoo and sit with us in a sheltered circle while we spun a few yarns, practiced some new techniques, learnt how to circular breathe and have a few laughs to boot. 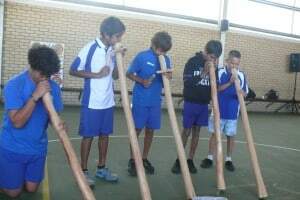 A standout group of the older students who had been learning didgeridoo for some time prior had already mastered the breathing and many rhythms. These ‘Didgeridoo Boys’ sat proudly around the circle, assisted Benni & Elz with the students and were clearly looked upon highly by the younger mob. It was a true inspiration to see and to be able to take things further with them. The Indidgenius program is designed to create a sort of “didge choir” where all members of the group can play in matching keys and perform for the school & around the community with confidence. They had composed their own rhythms already and are doing great! 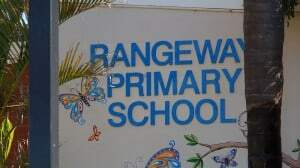 We wish all the mob there at Rangeway Primary School the very best with their music program and hope to come see how you are doing again soon. 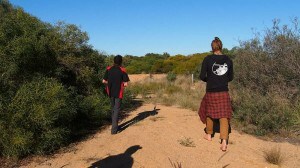 We were invited to Bundiyarra and took a good walk over the land there, crossing paths where ancient songlines converged to reveal timeless natural spring-waterholes. We held a didge circle for a local footy team, and the log wood burned all day long. Local elders came to take part in the meet up and there was plenty of good tucker put on by the beautiful women. We were impressed by the health and the endeavours of the Bundiyarra mob and their diligent work towards maintaining language, plant medicine, bush tucker, and culture – and for holding a space where local Aboriginal people can feel safe and enhance their community. Overall we felt blessed to be invited and had a real blast! If you are ever up in the Midwest coastal region of Western Australia, we recommend you spend an afternoon at Bundiyarra and dig your toes into the sand there…. You may even hear the sounds of the didgeridoo echoing over the sand and stones as the mob there continue to grow stronger and stronger once more. Stay in touch with our next blog when we describe how to make didgeridoos out of agave flower spikes, which are growing like naturalized wildfire all over Geraldton, and would be a perfect sustainable community project for local didge makers. Got a spare hand or two left, mate? Whether in a group or as a solo player the didgeridoo can be accompanied well by many other instruments. In its traditional context the yidaki would always be played along with the bilma (tapping sticks) – in fact, the two were inseparable! 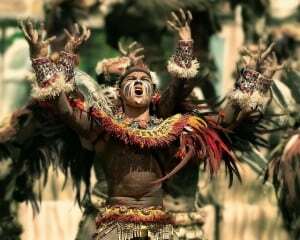 A ceremony may include many bilma players, many singers, and a yidaki player to create a haunting and powerful sound to match the dancing. In a contemporary context we can find many people experimenting with new accompanying sounds that add whole new dimensions to the journey experience. Percussive, melodic, or even added layers of drone can be used to full effect. 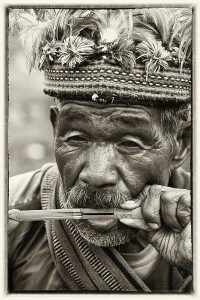 Sometimes the simple things are the best, and less distractive for a didgeridoo player who has created a one-man band. These tiny, strong, and potentially LOUD little puppies are an easy must for almost every didgeridoo playing scenario. Shake a matching rhythm in your hand, palm mute it, tap it across your didgeridoo whilst playing, and finish it all off with a good rattle. They fit easily into any bag with your didgeridoo or just your pocket if you haven’t got a bag yet! Our egg shakers are practically indestructible and sound great. Available in a variety of colours & also in wood. Using one on stage will require no amplification as they just project so well. Australia. The land of the doof. Sure, you can busk in the streets with your didgeridoo and tickle the fancies of the sonically curious as they wander by – or you can kick it royally with your our mini powerhouse heartbeat, THE STOMPBOX! 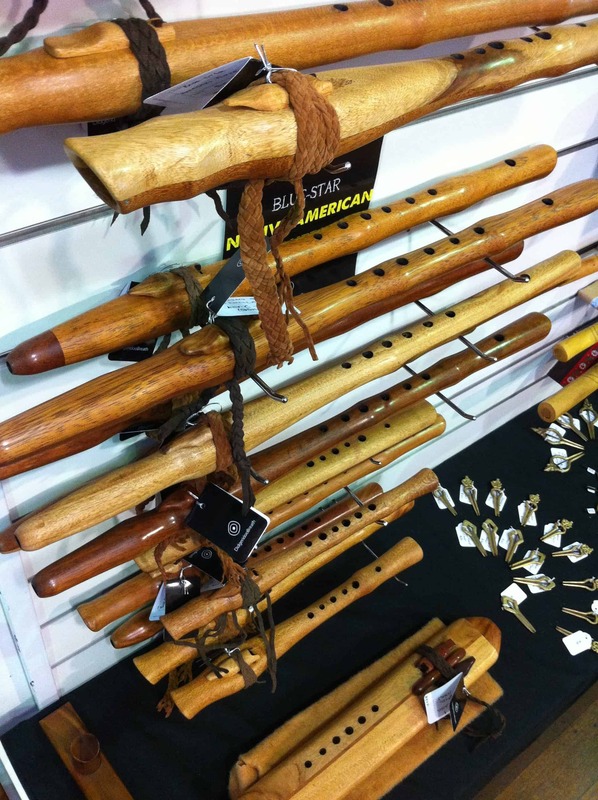 A mainstay for any Aussie venue performance whether you are a didge player or not. Guitarists love ‘em, we love ‘em, and we are proud to stock the very best there is. Plug it into an amp or PA system and bring your foot down to create a powerful stomp tone that replaces the need for a kick drum or bass beat. They couldn’t be easier or more comfortable to use. Crucial for maintaining energy of larger crowds. 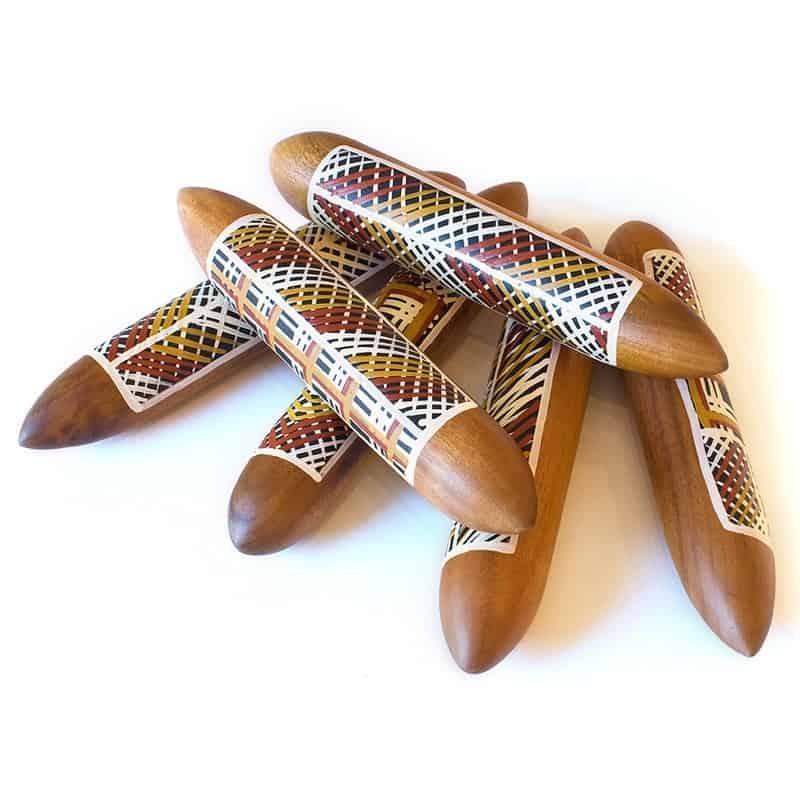 Known by many different tribal names across this continent, the Tapping Sticks are as Aussie as kangaroo pie, and no didge meal is complete without them. They come in a pair, and of various shapes and finishes. You can keep one in your lap and tap the other against it – or tap it along your didgeridoo if you wish. 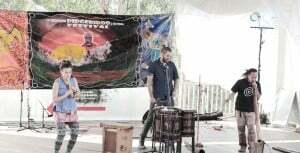 Not only do they create the atmosphere of an authentic bush sound, but they also provide an opportunity for new polyrhythms in combination with your didge play. In ceremony they were THE most important instrument of all, with all people following the lead of the bilma player(s). Boomerangs could also be used in their stead. We have many styles available, with new woods and artists coming in all the time. Feel free to contact us with your requests. These amazingly beautiful instruments are available in various pentatonic scales and are simple to play. They each have plugs for contact microphones for larger performances and are real life dream machines. 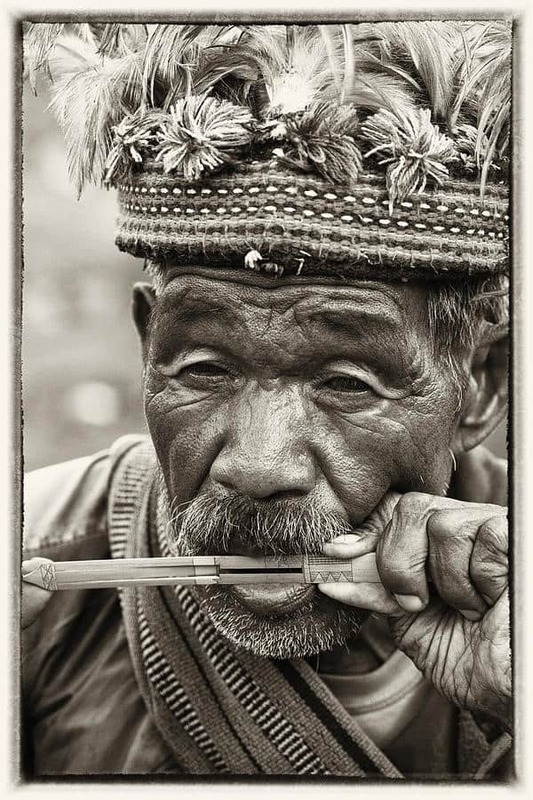 Flute & didgeridoo is a winning combination that we rate very highly. A good recipe for astral travel may be brewed by taking one pound of high-quality didgeridoo drone and simply adding a light pinch of soaring flute as a melody on top. 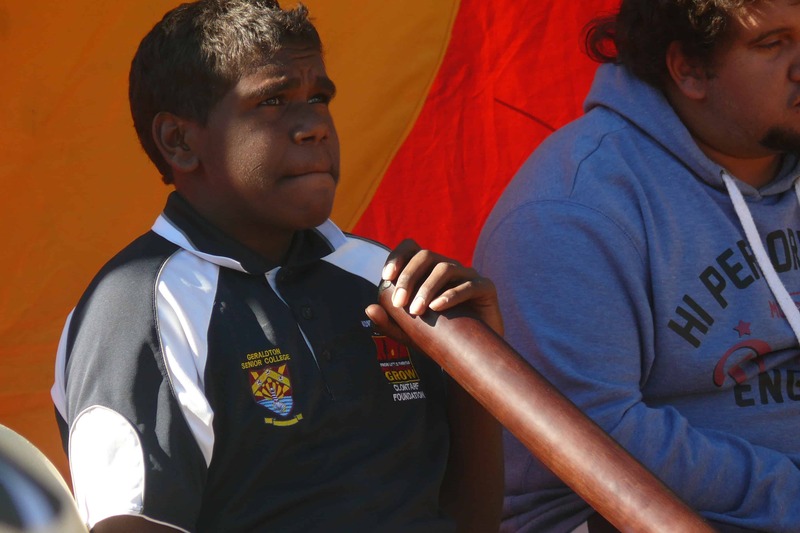 The didgeridoo can create the timeless sound of the land & space whilst the flute notes can provide the subject. The drone flute model is particularly magickal. See what happens when two ancient cultures meet with music! Another ancient droning instrument which is controlled tonally in a similar way to didgeridoo. So many styles exist in the world and we love them all. 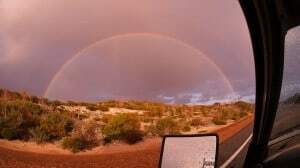 If you are hoping to create the sound of ‘waiting for a train in the outback’ – why not try the combination of didgeridoo and blues harmonica. A bushman’s delight! Unlimited world percussion will always have a happy home alongside your didgeridoo performance. 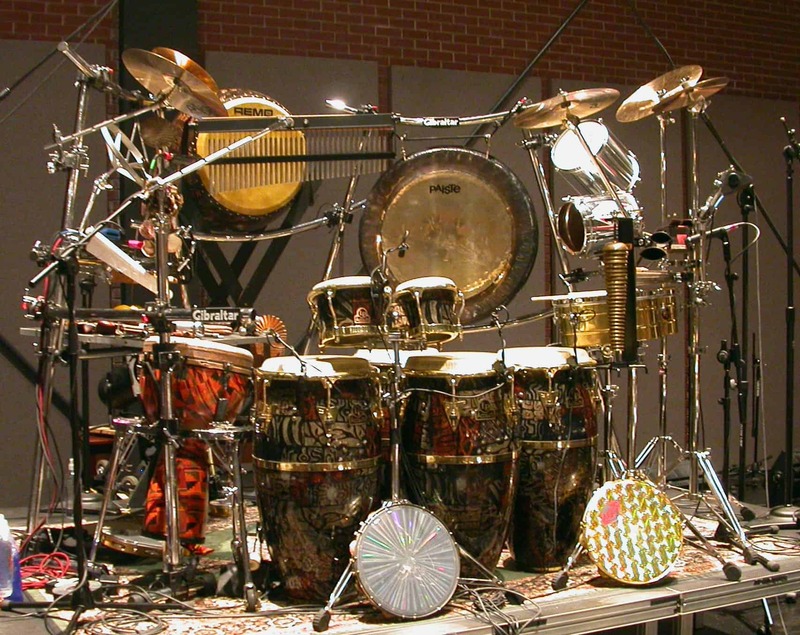 From djembe to dunduns, from gongs to maraccas, from udus to log drums – the sky is the limit! 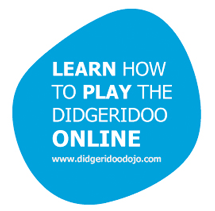 Didgeridoo players of Earth we encourage you to expand your sounds and experiment with your skills. Let us know if we can be of any assistance along the way or if you feel you have made a special sonic discovery of your own, why not share it with the community so that we may nod & dance. 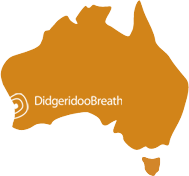 From Didgeridoo Breath with love, we wish you all well. Today we want to talk to you about physical issues we might face with our didgeridoos along the way. 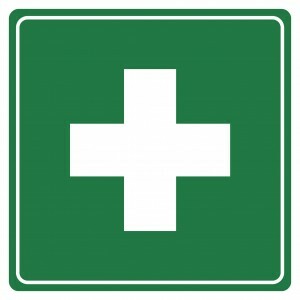 Environmental changes, cracks, hairline fractures, melting wax, electrical tape – and what can we do about it! It breathes. It contracts & expands. It resonates. It is this organic nature of wood that we all know and love, and though its warmth is what makes it desirable as a material for instrument craft, wood can also be at risk to a few elements that can create damage…. Hopefully nothing we can’t take care of however! Given that a didgeridoo is a tree hollowed out in the bush by termites while it is alive, the drying process for the harvested timber is unique. Unlike a solid log, the tree has to dry with an already exposed core. 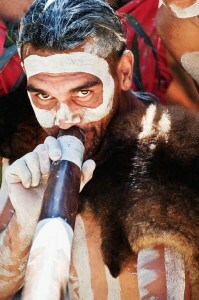 Most didgeridoo makers go to considerable length to ensure the drying period is slowed down by ‘capping the ends’ of the log (often with PVA glue and sawdust, or the termite tunnel grit that falls away after felling and cleaning the tree) and other techniques such as periodically wetting the logs to further lengthen drying time, log burial, river burial, and storage out of the elements. Rapid drying of a termite-hollowed log would certainly result in a split as the inner and outer layer of the wood dries at different speeds. Drying period for modern didgeridoos of repute should be a minimum of 6 months time before any woodwork is done. The longer the better! Still, after drying, working, finishing and sealing the didgeridoo there are still factors that put it to the test. 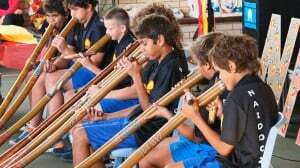 The didgeridoo may be exported to a country with very different conditions to its origin, AND the fact that it will be played powerfully with mucho gusto by its new owner is worth consideration. The powerful vibrations and pressure within the didgeridoo are strong things indeed. The moral is – yes, cracks can sometimes occur. Sometimes completely out of the blue. But what can you do about it if it happens to you? A hairline fracture of around 1-2mm width would be the most common occurrence if anything. This is very easily fixed with a piece of fine-grit sandpaper and a tube of Superglue. Apply the superglue across the length of the fracture. Then straight away begin to sand across the split with the sandpaper. The wood dust will merge with the drying glue and in less than one minute’s time you will have a filled gap that is super dooper strong, and ready to roll! I have applied this technique to didges of my own and am satisfied. Note, of course, that if the split has occurred over artwork then this will need to be touched up with appropriate paints, perhaps in an ochre colour base to match the natural tones of Australian colour. Another common technique that is very useful for slightly larger splits is to make a paste out of sawdust & PVA wood glue. A thick paste, then applied across the crack and left to dry before sanding it back to a solid and smooth state. Paint or finish as normal. Most definitely. There are some who feel that once a didge has cracked it has ‘released the pressure’ so to speak, and should remain strong, if not STRONGER than it was before. Drilling and plugging with a small wooden dowel is also a technique we have seen some didgeridoo makers use to prevent a crack from lengthening. This would be done at the end(s) of the fracture. 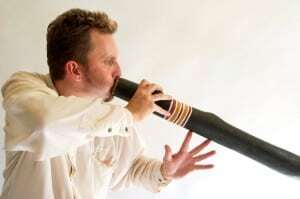 A crack occurring within say, the top third of your didgeridoo equates to a dramatic loss in backpressure and therefore playability – and needs to be dealt with immediately. 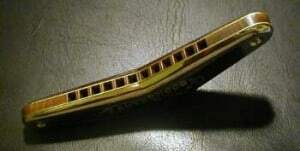 If a crack occurs toward the bell-end of your instrument (most likely cased from impact, or perhaps playing on the hot sand of a beach) the pressure will not be affected so much, but it is still best to address the crack, lest it increase in size over time with the vibration of playing. WILL BEESWAX DO THE JOB? 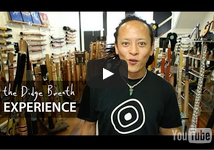 If you are serious about your didgeridoo journey – forget about it. Beeswax is a soft substance, and with climatic conditions can melt away, or vibrate its way out of the crack. It can shrink and dry and should only be used as a temporary measure if any. An outdated technique. : layers of Epoxy Resin (useful for those MAKING their own didgeridoo and are heading towards the sealing stage of their production) can be liberally applied to the crack and the instrument at large to seal it from the elements externally and internally! : Balga resin. The grasstree (Xanthorrhoea sp.) has an amazing resin that exudes from the plant after a bushfire. This resin has been used since time immemorial in Australia as a fixative for sharp stone heads to wooden handles and many other purposes. It is an amazing substance with a brilliant and earthy scent, and the colour of deep magenta glass. This would also do nicely as a gap filler for didgeridoos, and you may wish to include grit from sand, wood, or ground termite tunnels. GREAT! ALL WELL AND GOOD, BUT HOW CAN I AVOID CRACKS? For traditional yidaki, didges on the more raw side, or didgeridoos that are unsealed on the inside – it can be beneficial to ‘ease into it’ in the early days of play. Allow the instrument to be slowly accustomed to intense vibration and the presence of saliva by limiting play to 15 minutes or so per session for the first couple of weeks after receiving your new instrument. It is not necessary, but hey… it can’t hurt right? Raw cored didgeridoos may also enjoy a coating of oil on the inside once a year to keep things groovy. Orange oil, boiled linseed oil, Tung oil, and Danish oil are favourites. Cap the ends of your didge with plastic wrap and elastic bands and tip the oil around inside until coated before draining it out and leaving to dry. Avoid extreme climate changes such as taking your didgeridoo into the woods at night and having a great ol’ play, then wandering home and leaving it near the warm fireplace, or playing down the beach with friends in the sun all day only to use it as a paddle for your kayak whilst you oar your way home, bushman style. So, we hope you find this information useful. 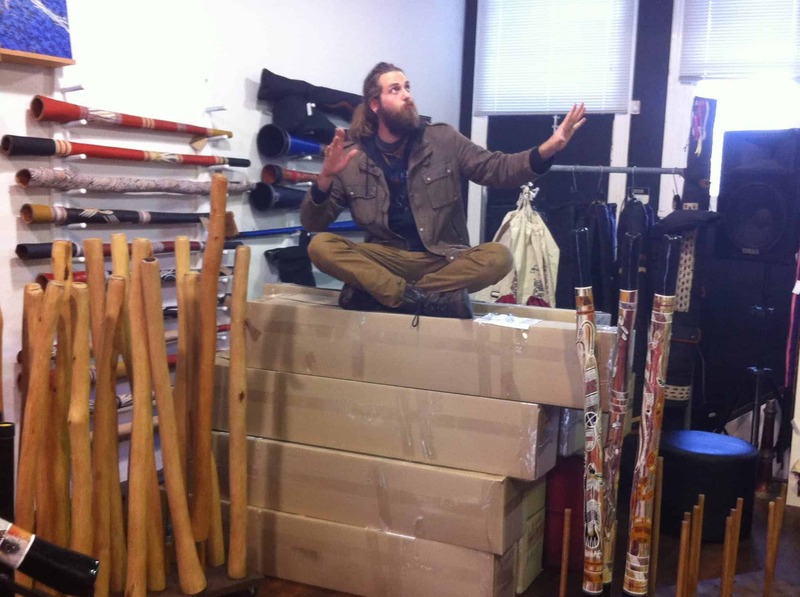 The team here at Didgeridoo Breath are always here to help with any specific questions you may have along your didgeridoo journey – big or small. Let’s keep the banter going, and keep our community strong as we bring the world’s most ancient instrument into the spotlight. Keep your vibrations strong, and keep the fires burning you beautiful people. Lotsa love from the coast of WA. Midnight. A great wind rises up from the Southern Ocean. A single raven crows from the distant fenceline as Sanshi, Koji, & Böötsie are lifted off the tarmac with their tools towards a little town folks call ‘Mel-bunn’. Firstly, let us give thanks to the genuine cowgirl who offered to take Böötsie’s “overweight” didge onto her baggage allowance so that we could all make it across. Cheers darl! After touchdown at Melbourne Airport she decided to shed denim to show Koji-san her latest tattoo. And with that the festivities had begun, and the infamous rock n roll didgeridoo lifestyle was feeding the many-headed beast of the night in a fresh new town. The boys hired a car and hooked up the polite Japanese street-map voice to direct us over to the Mornington Peningsula where one could caffeinate oneself with correctly-served long macchiatos and jam heartily on wind instruments till the Mornington cows come home. We stayed with Anne Norman of BREATH (http://www.didgeridoobreath.com/Breath-Ocean-Breath-CD-p/cd-26.htm) and got a few hours practice in to balance the sounds of a largely improvised set, under the influence of pu-erh and driftwood. 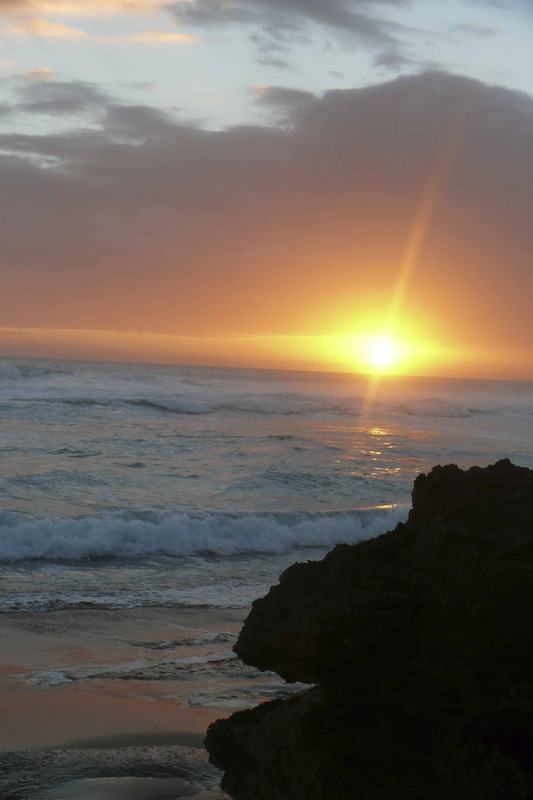 We sought further inspiration from the waves and the setting sun over Gunnamatta beach (epic!) and after an Afghani banquet – we were energized & ready to perform. The location of the Melbourne Didgeridoo & Cultural Festival was ideal. A quaint town, an easy street, a big flowing river, a green bush setting, a big stage at the base of a gentle hill. 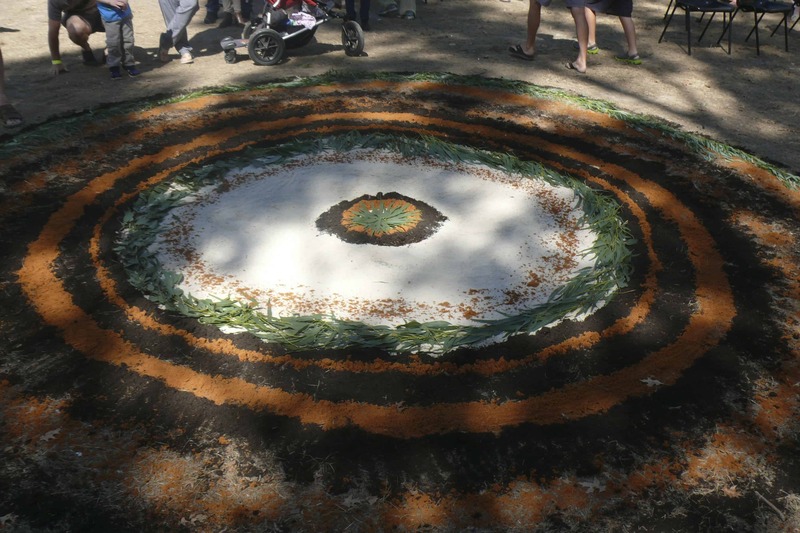 As we arrived, good people were already at work building a mandala of ochre and gum leaves across the earth. Marquee stalls of proud looking gents and shiny logs of wood dazzled the eye. Didgeridoo Breath held a space between our friends Ganga Giri and Bruce Rogers, who would both be performing that day and were in good spirits. There was a lot of didge-talk that day. Punters from all over had congregated to learn more about how they could become involved with the oldest instrument of all mankind. There were lessons all day, talks of technique, waxing, tooting, fluting, commuting. Many hundreds of people! There was a ‘drone’ in the air it seemed. Everyone performed well that day, and we had some real joy both on stage and off. A big thank you to the friends & fans who travelled to the festival to hear us play! The energy was well received. A particularly special moment was an impromptu duet between Mark Atkins (yes, THE Mark Atkins) and Ondrej Smeykal (yes, THE Smeykal) – WOW!! The best in the classic bushman’s sound together with the best in contemporary technique was a rare moment, and many found themselves within a trance. We certainly tipped our hats to this powerful combo. What we take from great events like this is a feeling of connectedness. Of One Big Mob. 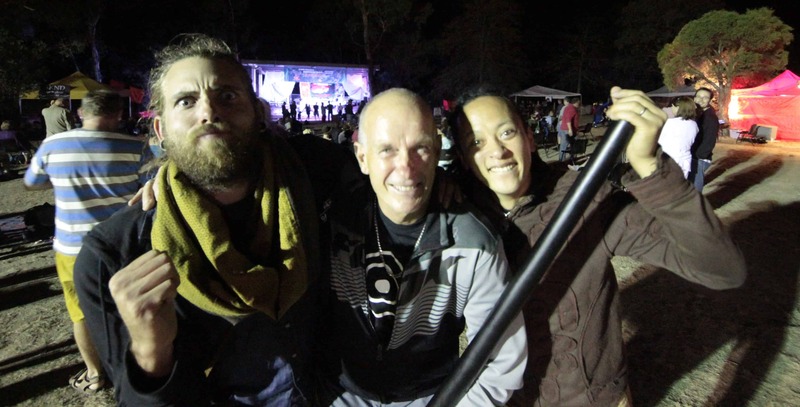 There were people there from countless cultural backgrounds, all sharing their differences, similarities, and respect for the didgeridoo, it’s origins, the people, and the land. On a larger scale, it was clear by the great sea of smiles all round that music in general prevails once again to bridge all gaps and take us to a higher place. A place we belong. Thank you to Colin & the boys from the Didge Circle for running the show. Congratulations to our prize winners on the day. The Didge Breath Boys Hit Melbourne! April is upon us and it is time for the 5th annual DIDGERIDOO & CULTURAL FESTIVAL. Sanshi & Benni are off to represent the West-Coast sound, meet some amazing people, and absorb some amazing culture. 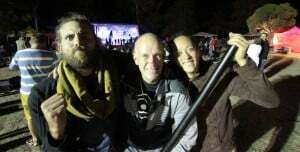 This year’s line up will include Ganga Giri, Bruce Rogers, Ondrej Smeykal, Tongue’N’Groove, Rael Birkett, Stax, One Fire Dance Troupe, Dr.Didge, Sanshi & co, Bunna Lawrie, Shamantara, the Didge Circle, Koji Matsumoto, Ann Norman, Lachie Phelps, Krazy Koala, James Daley, Brent Watkins, Rachel Shields, Heath James-Blade and the Tye Brothers. Should you drone-lovers find yourself in and around ol’ Melbourne town this weekend you might want to cancel tea with Aunty Mavis and head over to get your dose of original culture experience, expand your breath with the confidence of 40,000+ year old traditions, immerse yourself in the company of good healthy people after a natural good time, have a good stomp or two, and most of all become inspired for more! We are pumped, and are looking forward to sharing some improvised music, as well as pieces by BREATH. 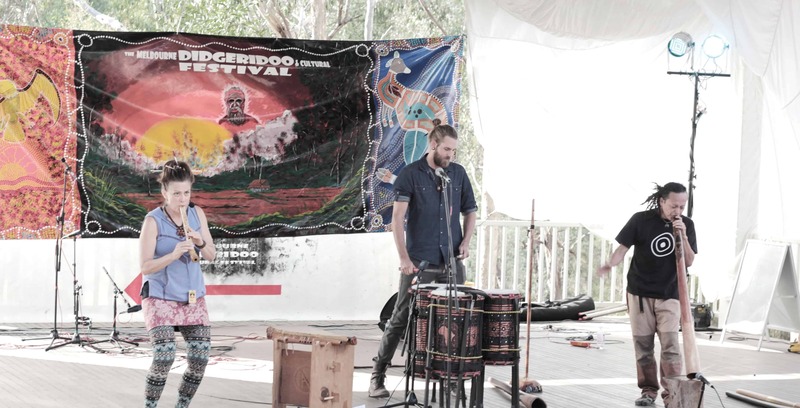 Look out for our Didgeridoo Breath Stall within the festival grounds – we will be giving away some great prizes to new DooNews signups such as the chance to win a FREE didgeridoo, and a LIFETIME DOJO MEMBERSHIP! !